Home BelliniWhat is bel canto? 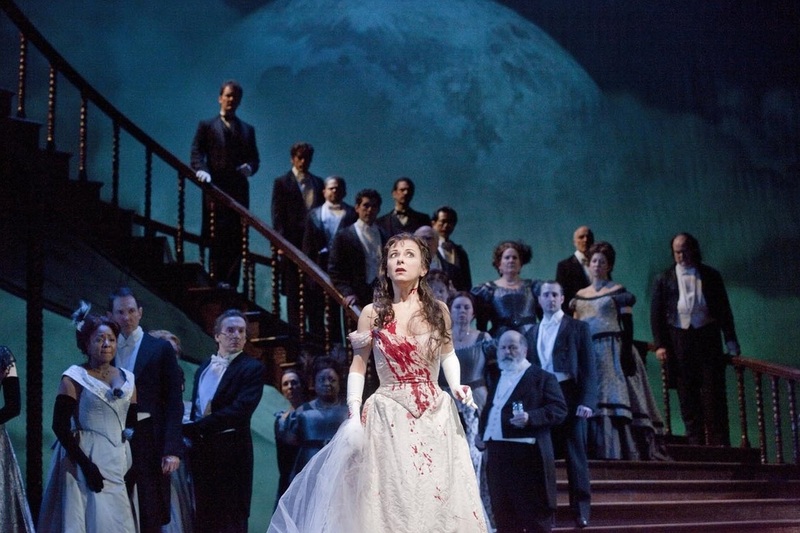 With Lyric Opera of Chicago’s opening of Donizetti’s Lucia di Lammermoor, a prime example of the Italian style known as bel canto, this weekend, I thought now would be a good time for a little refresher. So, what exactly is bel canto? Bel canto literally translates to “beautiful singing,” and it was a popular singing style in Italian opera from the mid-18th to early 19th centuries. The three kings of bel canto – Rossini, Donizetti, and Bellini – all reigned supreme in the early 19th century, but bel canto as an approach to singing actually started before them. Nonetheless, when operagoers talk about bel canto, they are often referring to the works of those three Italian composers. You may have noticed that we seem to be talking about bel canto in two distinct ways. The reason for this is that there are in fact two primary uses of the term bel canto: 1. as a singing technique, and 2. as an operatic sub-genre. Despite the fact that the term has been thrown around rather loosely, it is possible to pinpoint a few characteristics of bel canto as a singing style. As the name implies, the focus of bel canto is on the music, especially the voice. “Beauty” is the key word when it comes to bel canto. There is plenty of room for rubato (the freedom to slow down and speed up) in this style, and lead characters often have cadenzas (short passages for the solo voice in an improvised-like style) which allows them to showcase their voices. When you listen to different recordings of different interpreters of the great bel canto roles (e.g. Lucia in Donizetti’s Lucia di Lammermoor, Norma in Bellini’s Norma), you’ll notice the distinctive coloring, ornamentation, and embellishment that the singers incorporate into their interpretation of the role. In bel canto, more so than in other styles, the different sounds a singer brings to the character play a greater role in the development of that character. “Subtlety” and “nuance” are two words that come to mind when I think about bel canto. Having discussed the two distinct uses of the term bel canto, I think we’re ready for an example. Listen for some of the characteristics mentioned above in this excerpt from Bellini’s I puritani. 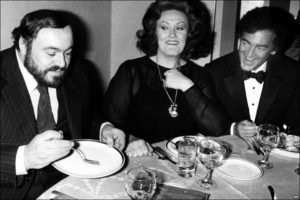 You will hear Luciano Pavarotti and Joan Sutherland, two extraordinary singers well-versed in bel canto, in this recording of “A te, o cara”. Did you hear the portamento, rubato, and ornamentation? What about the prominence of the voice over the orchestra? If you missed any of these, go ahead and listen to it again. With music this gorgeous, it’s easy to get lost in the sheer beauty of it all. This brings up an important point about bel canto – don’t let yourself get swept up in the sounds so much so that you stop following the story! “Diva worship” is also deeply associated with bel canto as a sub-genre. While there are rich roles for all types of voices in the repertory, the soprano voice of the leading lady is almost always the most important, so much so that many operagoers believe that a bel canto work shouldn’t be attempted without a particularly strong soprano. Past leading exponents of bel canto include Maria Callas, Joan Sutherland, Montserrat Caballé, June Anderson, and my personal favorite, Edita Gruberová, whose Lucia floors me every time I listen to it. A couple of today’s excellent interpreters are Diana Damrau and Natalie Dessay. Pingback: Vladimir Stoyanov on opera, "the expression of the human condition"